T-Mobile’s proposed merger with MetroPCS was handed another blow this morning as the last major proxy advisory firm recommended against the deal. In its findings, Glass Lewis & Co found the proposed deal lacked in several significant ways, including how MetroPCS agreed to the deal and the compensation shareholders would receive. 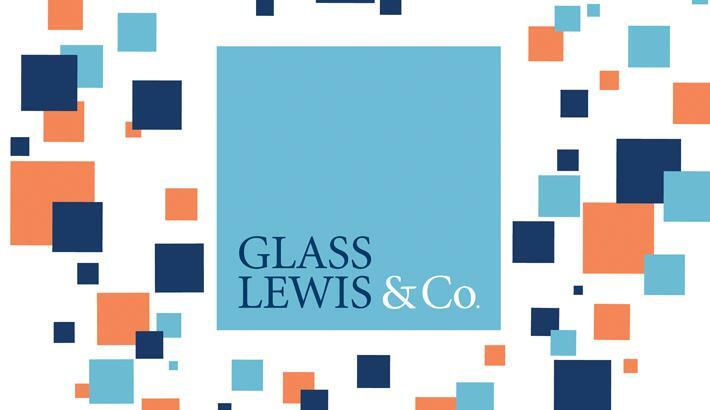 Glass Lewis joins Institutional Shareholder Services in advising shareholders to vote against the proposed deal. Both advisory groups have sided with Paulson & Company and P. Schoenfeld Management in calling for shareholders to demand better terms or walk away. The combination of both groups advising against the deal is likely to have an impact on undecided voters who were as-of-yet-undecided on their vote. The pressure is now firmly on Deutsche Telekom and MetroPCS to consider raising the terms of the deal or risking defeat during the April 12th shareholder vote. ISS and Glass Lewis are the two biggest players in the field of proxy advisor firms and while their influence has lessened in recent years, their recommendation can still influence the outcome of a deal. The New York Times reports Deutsche Telekom is weighing whether it should offer better terms or walk away from the deal according to “people briefed on the matter.” Glass Lewis did acknowledge the upsides to the T-Mobile deal including taking MetroPCS from a regional player to a nationwide carrier, but showed concern MetroPCS didn’t pursue other options before settling on the T-Mobile deal. “As constructed, the agreement appears to undervalue MetroPCS’ contribution to the combined company and offers shareholders a merger consideration that does not fairly value MetroPCS in a takeover by Deutsche Telekom,” Glass Lewis wrote in its report. The question we’re now forced to ask is just how Deutsche Telekom and MetroPCS will respond to these advisory findings? Maybe it’s because MetroPCS doesn’t exist on my area of the country but do they have e the resources to survive on their own against the big boys for the foreseeable future if this merger doesn’t happen? how do you say that? they have around $2B cash, are profitable and offer great service and plans for the money in the area they are available. All the new plans T-mobile and other “big boys” have like unlimited talk and text were available for years at MetroPCS. The problem wasn’t cash, but that MetroPCS tried its hardest to acquire more spectrum. It failed, despite having oodles of free cash to get that spectrum. MetroPCS is the most spectrum-constrained carrier I know of. Spectrum is a problem for it. The in-store service reps that I have seen in MetroPCS were extremely nice. They may have been somewhat clueless or desperate for a sale, but nice. I told them that I live outside of their service area, but they still wanted to sell me a service plan. People who work in Metropcs stores remind of Iphone users clueless joe’s. . This brought to you by the “clueless joe” who “knew” the S4 would have a flexible screen and wireless charging right out of the box. The same guy who said Verizon’s *low* frequency LTE couldn’t penetrate buildings well, when in fact, it’s *high* frequencies that have that quality. All this from the same guy who seriously told me rooting was for “2plus year old devices” despite owning an Evo 4G at the time, which had a HUGE root community. What a moron. most of the metroPCS user base really doesnt care for killer data speeds, they need reliable and cheap talk and text. they cater to a section of the market that typically uses mobiles for calling and texting, and they provide both at a cheap and reliable rate. Rude customer care is a norm in the industry nowadays, its rare to get great service, especially in a store unless you are signing a contract or something. Thats a huge argument for those that are pro-merger. Not trolls man, these firms have influence, this isn’t something ignore or shrug off. you right man if that’s what they get paid to do great but none of them are telling metro pcs how they will stay afloat if the merger doesn’t happen/ how can you demand better terms when if you don’t take the deal theres a chance none of their shareholders keep making money. just dont get it. Awesome point. You can say the deal isn’t good enough all day long, but if they don’t provide solutions, how do they know that its indeed not a good deal. If they decline now, T-Mobile may be in a better position(than they are now… not without MetroPCS) and Metro may be worse off and may have to deal with less of an offer down the line. Something they should really consider. If I were proposing a solution, I would say consider merging with Leap Wireless (Cricket’s owner). They operate in a similar fashion with no geographical overlap that I know of. This would create a huge prepaid carrier. In order for them to succeed, I would think that they would need some major financing from large financial institutions. Whether any bank would find them to be worthy of the investment would be another story. I have to admit that I like my idea as a consumer. I don’t know how successful it would be on the business side of it, though. These firms are hoping that just like T-mobile survived the failed merger with ATT that magically MetroPCS will reinvent itself down the road. Tmobile has stated in the recent past that 4 billion has gone directly into their infrastructure development. Yeah, but I don’t think that was the break up fee. DT paid off some huge debt with that money. These company need to stop meddling with T-Mobile and Metro PCs merger!!! I Hope the merger goes through though. James, it is not meddling as they are a proxy. Its actually their job. I heard it called GhettoPOS in Georgia. Dam people could hear the thoughts in my head and see the pictures what should I do?! Would NewCo still be branded as T-Mobile? Yes, since T-Mobile has more subscribers than Metro PCs and it is nation-wide and well-known more. The corporate name would be T-Mobile US, Inc (as opposed to the current name of T-Mobile USA, Inc.). Its stock ticker would be TMUS. However, it would do business as T-Mobile and MetroPCS. Both brands and operations would be managed semi-independently. Two brands with bad reputations better than one? I don’t know if you’ve read reports recently, but MetroPCS has the highest satisfaction rates of prepaid carriers. It even beats postpaid carriers. So, MetroPCS’ reputation is pretty good. One thing that hasn’t been brought up with all this is that I recall there is a break up fee BOTH ways for this merger. Are these advisors really suggesting MetroPCS is better off paying this break up fee and seeking out options on it’s own versus taking this deal? Can you explain the breakup fee both ways? If either one breaks the deal, it has to pay the other party a few hundred million dollars as compensation. Wouldn’t that cancel out each other’s payment out? No. If T-Mobile breaks the deal then T-Mobile would have to pay MetroPCS. If MetroPCS breaks the deal, then MetroPCS would have to pay T-Mobile. Only the one that backs out has to pay the fee. These advisory firms are motherf’ers! Jokes aside, excluding the areas where MetroPcs has service now and combining would boost each others network, does their spectrum help Tmobile nationwide? Basically I’m wondering if spectrum is tied down geographically. If they combine and in say Dallas this creates an excess, can some of the extra spectrum be shifted to help compensate for areas where TMO is weak in coverage? If this were possible and I was a shareholder, then I would try for a bit more money out of the deal but certainly would not vote anything rash that could spoil the transaction. All the companies worry about a spectrum “crunch” and moving around the excess would be a really valuable option for T-Mobile to help build a larger footprint in coverage. You cant move spectrum. Thats like saying your going to dig up a highway and move it to another state. There’s basically only two options… Sell the spectrum or do a swap out aggreement like Tmo and Verizon did not too long ago. But I believe if you don’t use the spectrum in a certain amount of time, the powers that be will take it away. Thanks Dion Mac. That is what I thought. I don’t know if Metro is sitting on spectrum ranging across the country but that would take away my bargaining point. many people on this forum have the opinion that without the merger, MetroPCS will fail or go bankrupt. Financially, they are more well off that T-mobile, and in most cases better run as a company too. T-mobile plans to keep MetroPCS running using it as a value brand, literally nothings changes for them except the spectrum they use. These are greedy investors looking to make a quick buck from the deal. Metro does not have the spectrum to make it past this decade. They will eventually be bought out. T-mobile is planning to keep the MetroPCS brand only for around 2 years. They might not have the spectrum to remain competitive for long, but that doesn’t mean they fold and get acquired right now. That’s the whole point these investors are trying to make – continue for a while and get acquired at a better price. Err, no. The brand is supposed to remain around pretty much forever. The MetroPCS facilities (i.e. the network) is being shut down by 2015. I might be mistaken but did they actually say anywhere that the MetroPCS brand would outlast the network consolidation and beyond? with the new plans from T-mobile, they seem to be blurring the lines between postpaid and prepaid, not only in pricing but even services. For better or worse, they launched GoSmart and already have Monthly4G. I don’t think they will keep around the MetroPCS brand much longer after 2015, especially since they will switch out all the phones and merge networks (and possibly stores) by then. Its just too much of the same offerings from the same company, yet another prepaid type of offering will likely confuse people. Deutsche Telekom has reiterated several times that the MetroPCS business unit will remain in operation within T-Mobile. In fact, one of the first things that will be done after the acquisition of MetroPCS is that it will be expanded to all T-Mobile metro markets. Minneapolis and New Orleans were markets thrown around as potential places to launch the MetroPCS brand in the summer. T-Mobile needs to just move on, and do it all on their own. All this trouble is not even worth the hassle, and they will be back on top soon enough. Without the help of another company, let it go TMo. MetroPCS has spectrum especially in the Northeast that T-mobile could use to compete against Verizon which has a large market share there. It is not so much the company they want but the spectrum holdings and subscriber base. Unless the government is offering spectrum then the result is what we are seeing. The bigger companies eating up the smaller ones to add to their signals. At&t and Verizon are continuing to do the same thing but on smaller regional companies. It’s not help these companies are looking for with these purchases or “mergers”. Hedge funds and consultants are gonna torpedo this. Damn it. If the merger does not go through it will be an embarrassment for T-Mobile. But, of course, even if they sweeten the pot, the deal needs to make financial sense. Unfortunately, what makes financial sense for DT may not be in the best interest of T-Mobile or MetroPCS. DT will sweeten the deal. One of the main benefits is that T-Mobile will be a public company and that is very favorable to DT since it gives them a lot flexibility. these firms have nothing but their own agenda in mind … just stfu already. Here in New York City we call metro. .f**ktro..Regardless of this mumbo jumbo the deal will be done April 12. The merger has never made sense to me. Metro is very spotty, but more importantly they use CDMA technology. I know T-Mobile says they’re going to blend the networks with LTE, but that will take years. And if T-Mobile doesn’t have the money to upgrade its aging EDGE network how can they possibly upgrade Metro’s network to make it compatible? I think they’re just wanting the customer base because they’ve been bleeding customers for the past few years. MetroPCS would be a better fit with Sprint or even what’s left of Altell’s CDMA network. T Mobile plans to use the 1900 Frequency that Metro PCS is using for CDMA to add bandwidth spectrum to is New 2G and 1900 UMTS that the I phones 4s customer are now using. The 1900 UMTS, HSPA and LTE all use CDMA technology. LTE is just CDMA on steroids!!! No other bidders have emerge to offer a higher price for Metro PCS. You like to know why? Both Metro and T Mobile shopped around to merger over the past 2 years the only deals that has occurred in the past 14 Month was AT+T buying T Mobile and this Metro PCS deal. Why will the shareholder vote for the merger? the 45% stake from Vodafone in which Vodafone desperate need of a cash infusion due to the economics conditions in Europe. network and compete head to head with the already established players. Verizon, AT+T ,T-Mobile and Sprint. So the only option is shareholders except the deal or a private equity/hedge fund with deep pocket will have to buyout Metro PCS and also provide funding to expand Metro PCS once acquired.